You'll explore the less-touristy side of things at Wine Tours & Tastings and San Francisco Bay. Explore the numerous day-trip ideas around San Francisco: Muir Woods National Monument (in Mill Valley), Castello di Amorosa (in Calistoga) and V. Sattui Winery (in St. Helena). Next up on the itinerary: examine the collection at Cable Car Museum. To see traveler tips, other places to visit, maps, and tourist information, refer to the San Francisco driving holiday planner . Stockholm, Sweden to San Francisco is an approximately 13.5-hour flight. You can also do a combination of train and flight. Due to the time zone difference, you'll gain 9 hours traveling from Stockholm to San Francisco. Traveling from Stockholm in August, you can expect nighttime temperatures to be a bit warmer in San Francisco, with lows of 17°C. Finish your sightseeing early on the 22nd (Thu) to allow enough time to drive to Yosemite National Park. 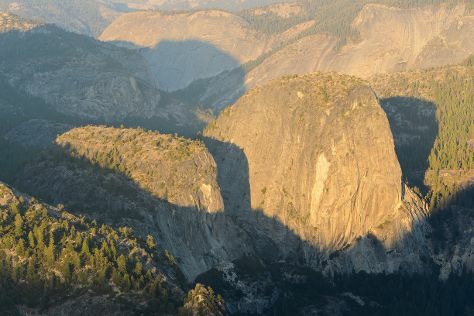 Explore hidden gems such as Glacier Point and Yosemite Falls. Explore Yosemite National Park's surroundings by going to Lee Vining (Mono Basin Historical Society, Tioga Rd, & more). Next up on the itinerary: take some stellar pictures from Tunnel View, admire the sheer force of Vernal Fall, don't miss a visit to Yosemite Conservation Heritage Center, and explore the striking landscape at El Capitan. Drive from San Francisco to Yosemite National Park in 4 hours. Alternatively, you can do a combination of flight and car; or do a combination of flight and bus. When traveling from San Francisco in August, plan for a bit warmer days in Yosemite National Park, with highs around 32°C, while nights are slightly colder with lows around 7°C. Finish your sightseeing early on the 25th (Sun) to allow enough time to drive to Death Valley National Park. Kick off your visit on the 26th (Mon): contemplate the waterfront views at Badwater Basin, cruise along Artists Dr, and then steep yourself in history at Eureka Mine. On the 27th (Tue), you'll have a packed day of sightseeing: take in the dramatic natural features at Zabriskie Point, get great views at Dante's View, and then make a trip to Mesquite Flat Sand Dunes. For maps, traveler tips, and tourist information, refer to the Death Valley National Park itinerary planner . Drive from Yosemite National Park to Death Valley National Park in 8 hours. Alternatively, you can do a combination of car and bus. Traveling from Yosemite National Park in August, expect nights in Death Valley National Park to be much hotter, around 24°C, while days are somewhat warmer, around 43°C. Wrap up your sightseeing on the 27th (Tue) to allow time to drive to Laguna Beach. Laguna Beach is a seaside resort city located in southern Orange County, California, in the United States. On the 28th (Wed), see the interesting displays at Mission San Juan Capistrano, take a leisurely stroll along San Clemente Pier, then look for all kinds of wild species at Wildlife Areas, and finally tour the pleasant surroundings at Victoria Beach. For other places to visit, reviews, and tourist information, you can read our Laguna Beach trip itinerary website . Traveling by car from Death Valley National Park to Laguna Beach takes 5 hours. Alternatively, you can do a combination of bus and flight; or do a combination of bus and flight. When traveling from Death Valley National Park in August, plan for slightly colder days and about the same nights in Laguna Beach: temperatures range from 32°C by day to 22°C at night. Finish up your sightseeing early on the 28th (Wed) so you can travel back home.